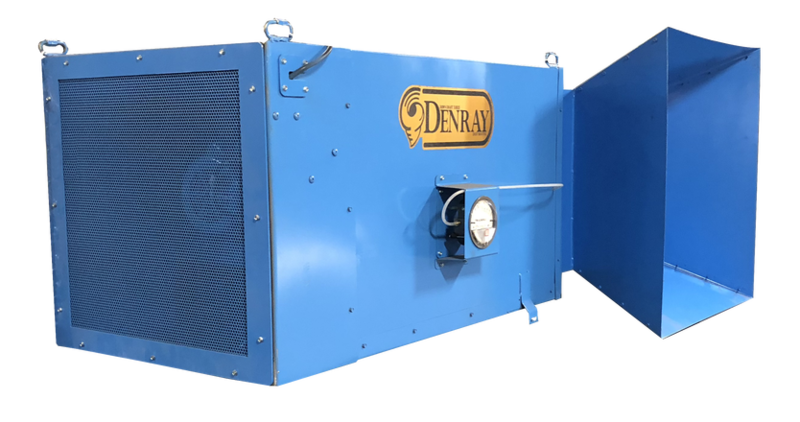 Overhead Unit - Downdraft Tables | Denray Machine Inc.
Denray knows if you have to get a ladder to service the filters in your overhead filter system, it will pretty well becomes something you point at from the floor and wished it worked better! So, we have designed a system that can have its filters removed, cleaned or replaced without getting on a ladder. 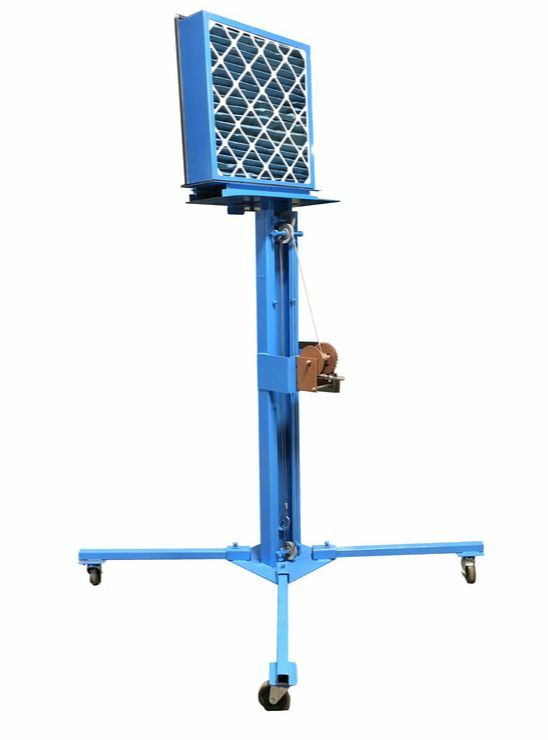 Our system has a portable filter lift fixture, you roll up under the overhead unit. Then with the help of a cordless drill, it will send up the lift fixture that attaches to the filter box inside the overhead unit. With a lock releasing handle on a pole, the operator will unlock the filter box and then reverse the drill and bring down the filters. Address or replace the filters, then place the filters back on the lifting fixture. Using the cordless drill, raise the filter box back up into the unit, lock the filters into place and bring down the lifting fixture. 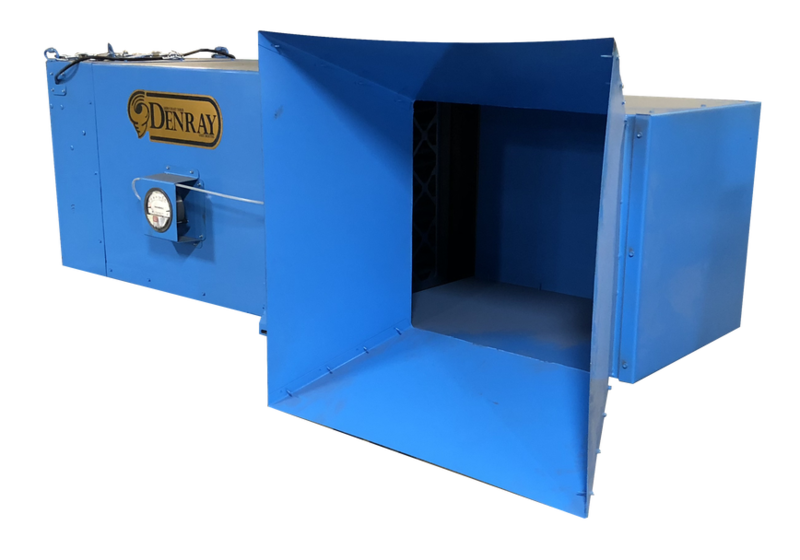 The closer the overhead unit stays to the source that is creating the dust, the more dust it will capture. The bottom of the overhead unit should be no more than 12’ off the floor. Our overhead unit is 120V system that includes a wireless remote to power on/off the unit. The lift fixture ranges from 5.5’ to 13’, fully extended. Making it easy to service your overhead units. ​You will only need one lift fixture regardless of how many overhead units you have in use! ​The Overhead Unit "bell" can be turned out, for multiple unit use. 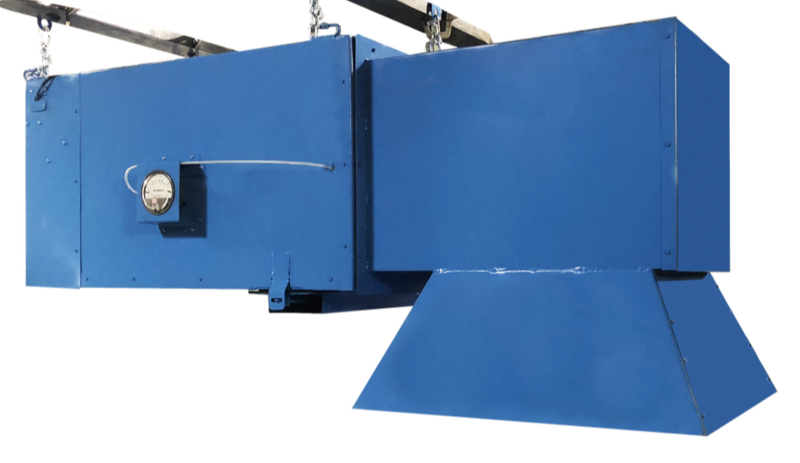 Click this video to see our Overhead unit and filter lift fixture in action!